Design something new this March Break Camp: a film, a portfolio of fashion illustrations; a cartoon strip, a graphic design portfolio. Whatever your dreams are to be a film maker, musician, designer or inventor, remember, everything has a little bit of Design to it. The typical camp day starts at 9:00 am and ends at 4:00 pm. During the camp day, besides formal instruction in a chosen area, campers are involved in organized team activities through the day that is sure to test their imagination, creativity, reflexes, team spirit and organizational skills. 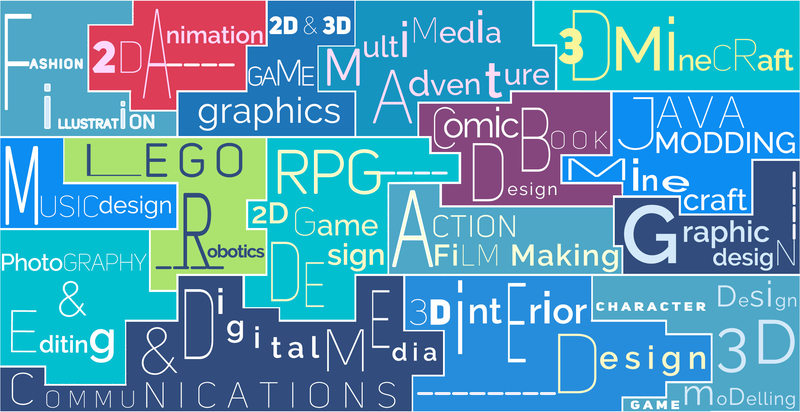 All programs are well rounded and include elements of graphic design, sound design and visual arts, animation. Some programs also come with an introduction to the world of Science & Technology. The Thinnox Academy's programs are personalized according to student's interest and age group. • Thinnox operates Technology Engineering & Design camps during spring and summer. • Thinnox camps are ideal for creative kids between 6 to 18 years of age. Thinnox camps result in games, films, portfolios and prototypes that you can take home and showcase during the Design Expo. Camp admissions are open through the year. Camps are a fun way to pick up new skills; get a taste of a field of work or profession. • There are no pre-requisites for admission to camps. Thinnox camps are usually over-subscribed. Booking early is a great way to beat disappoints and also to get early bird discounts as applicable.